The media shows conflicting images of Michael Brown, the unarmed teenager who was shot and killed by police in Ferguson, Missouri. 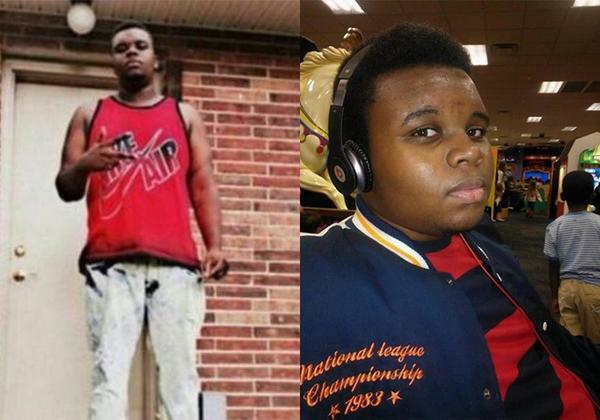 Recently, #IfTheyGunnedMeDown has become popular on Twitter. The trend is inspiring young people to post contradicting photos of themselves as a way to criticize the media for the photo it chose to show of Michael Brown, the 18-year-old African American man who shot and killed by a police officer on August 9 in Ferguson, Missouri, outside St. Louis. Teens post photos of them graduating high school, next to ones of them drinking heavily. The contrast is stark, and it makes a startling point: When a person of color is killed, no matter what the circumstances, the majority of the time the media shows them in the least flattering light. What has happened with Michael Brown is not the first time this has happened, and it would be delusional to say it will be the last. If a young black man is killed, photos are shown of him throwing up gang signs or smoking. If a young white man is killed, he is shown smiling next to his mother. Chances are that the few of you who still watch the news have seen this pattern in the images chosen, whether you were intentionally looking for it or not. This difference is almost entirely racial, and is a clear indicator of injustice. The racism that has been prevalent for hundreds of years in America is still around; it has just taken a different shape. The issue of media portrayal is bigger than we realize, but it still doesn’t get the attention or the response it deserves. This problem will probably not go away for a long time, but one of the best ways to combat it is to treat the victims of crimes equally—regardless of race. The portrayal of victims in the media is just the tip of the iceberg. The bigger, more prevalent issue is why changing the persona of the victim makes the death acceptable. The underlying implication that “if he’s in a gang, his death is okay” is the real problem. The death of a man, or woman, who was not harming anyone at the time of their death is a tragic event. If that person was on drugs, in a gang, a teen mother, or a heavy drinker, that does not make their death any less tragic, or any more acceptable than the death of a preacher or a fireman. The death of a young white man is not more tragic than the death of a black teen, and that is something that people of all races need to remember. When people are able to see victims simply as other humans, instead of as hardened criminals or thugs, that is when justice will truly be done. Previous The Power of Two and the Power of Tears by Nadya O. Next Love My Body/Hate Yours? : Body Image and “All About that Bass” by Caroline T.